ESO Supernova Exhibition — What are stars? Stars are huge balls of radiant gas. Our own Sun is the only star we can study in detail. Other stars can have very different properties, mainly depending on their mass and stage in life. 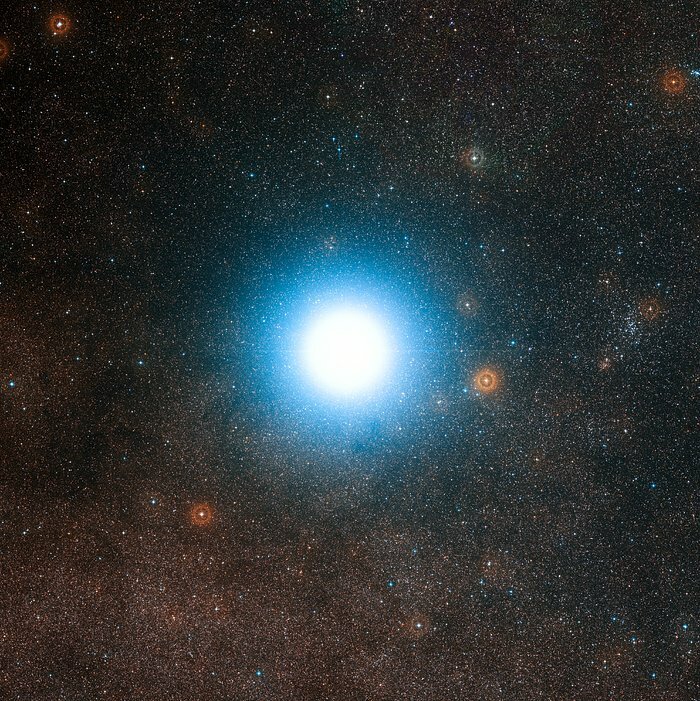 Near neighbour: Alpha Centauri, at a distance of 4.3 light-years, appears as bright as it does because it is relatively close. 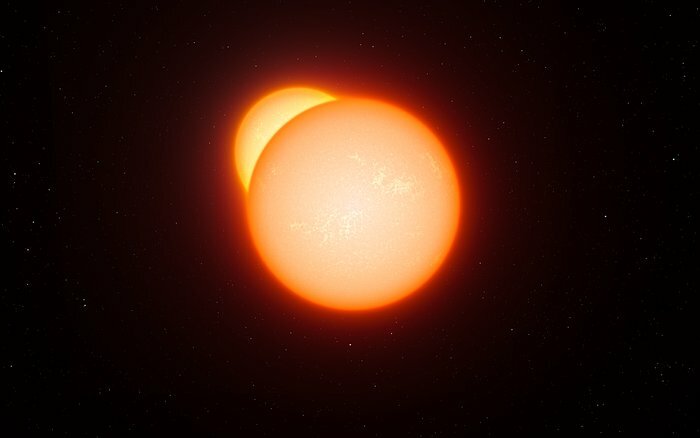 Sibling stars: Many stars are born as twins: two suns orbiting each other, as this artist’s impression shows. 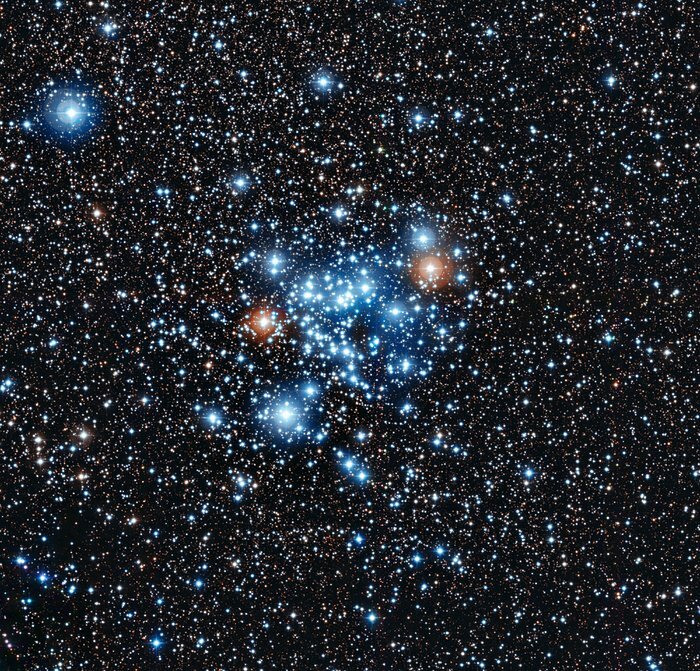 Colourful cluster: The young star cluster NGC 3766 contains both hot, blue-white stars and much cooler, orange-red stars. Our Sun is 1.4 million kilometres in diameter and its mass is 300,000 times that of the Earth. Its surface temperature is 5,500 degrees Celsius and it emits yellow-white coloured light. Other stars can be smaller or larger, more or less massive, brighter or fainter, and bluer or redder in colour. A star’s colour is related to its surface temperature, and nature only allows certain combinations of temperature and luminosity. 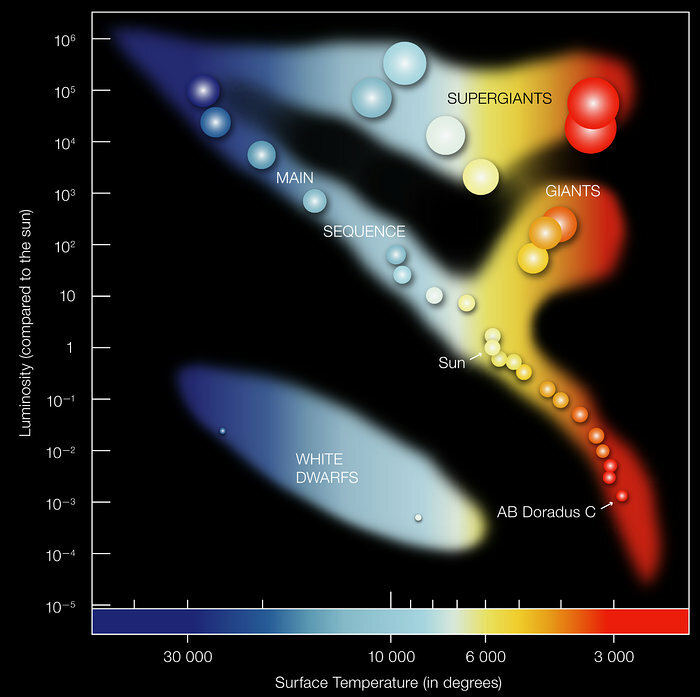 In the early 20th century, Ejnar Hertzsprung and Henry Norris Russell showed this relationship in the famous diagram that now bears their names. 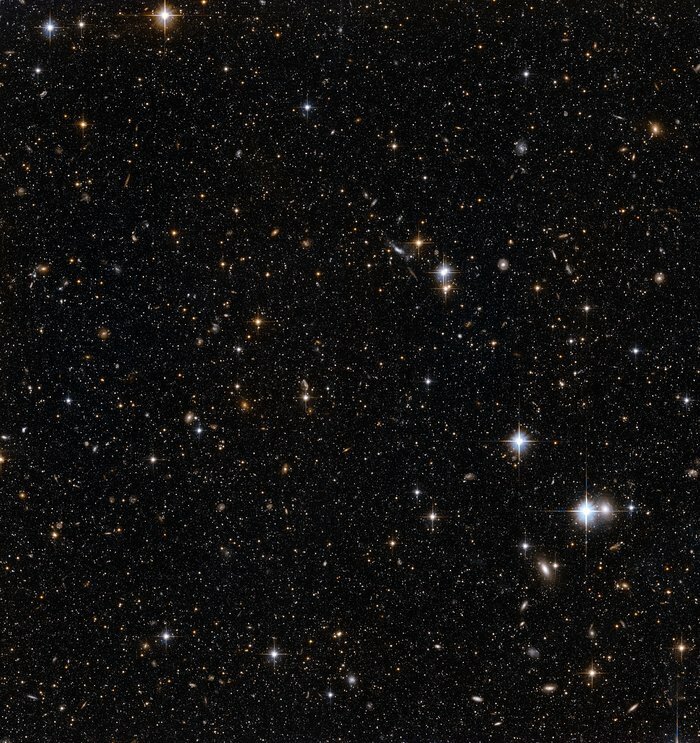 Distant suns: Using the Hubble Space Telescope, astronomers can make out individual stars in the Andromeda galaxy, 2.5 million light-years away. Stars are suns! They only look tiny and faint because they’re very far away. Some are big, hot and bright; others are small, cool and dim. Our own Sun is just a middle-of-the-road star – nothing special.